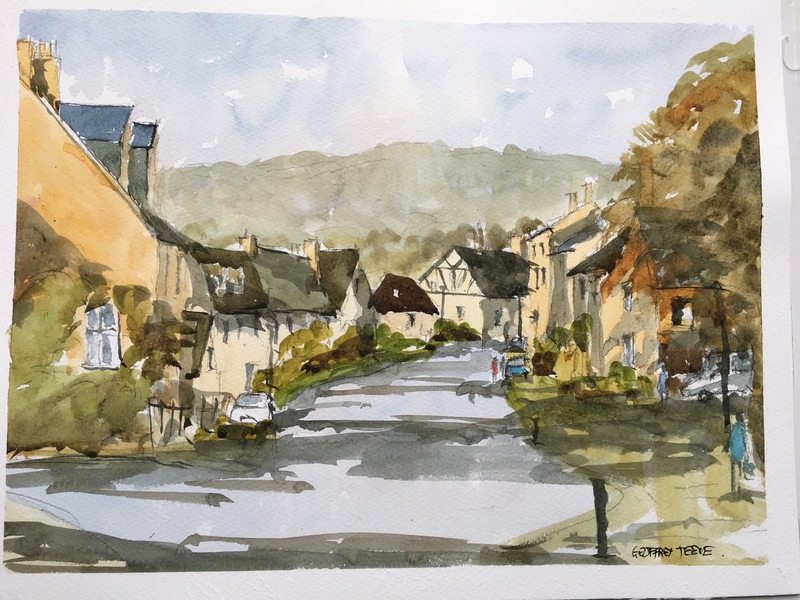 Here is a simple picture of a house in the village of Overbury in Worcestershire (although it has a Gloucestershire post code). My son and his family have recently moved to a house just up the lane from this view. Here I’ve kept a simple composition to feature the view over to the distant Cotswold Hills. 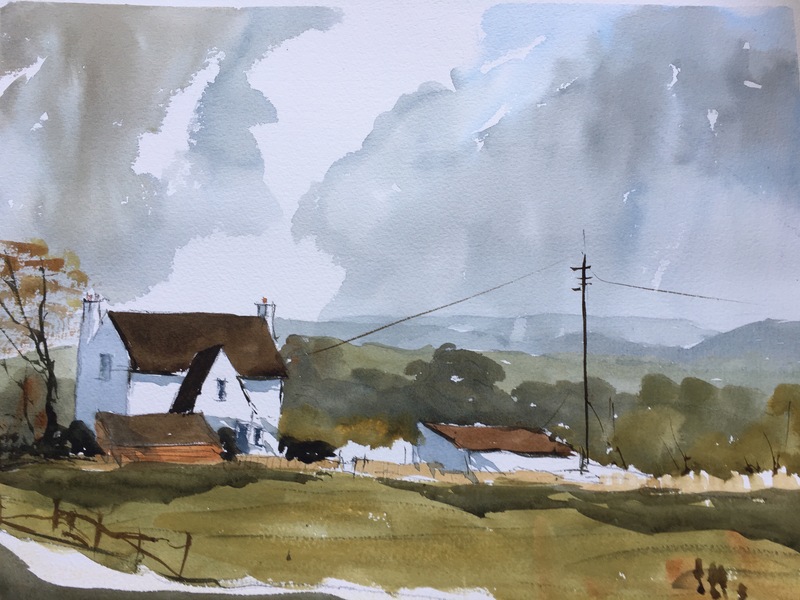 In reality, the house is more raw sienna coloured than white but as in all watercolour painting, white is essential to produce the bright transparent quality of this lovely yet difficult medium. I spent October half term up in Worcestershire with my children and grandchildren . 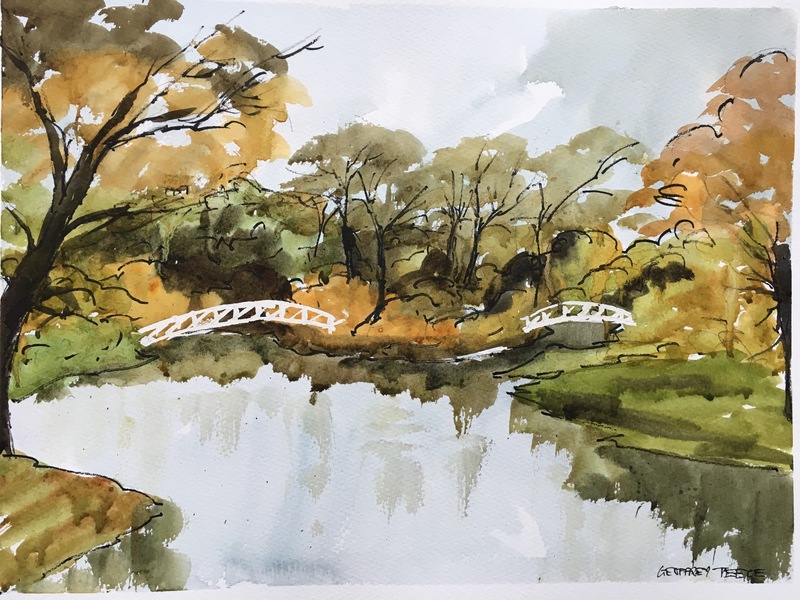 These two watercolours ( one using bamboo pen) are an attempt to capture something of a glorious autumn . The subjects are Broadway looking up to Fish Hill and the Japanese lakes at Croom Park.